• Natural or forced draught gas burners. • Blue flame oil burners. 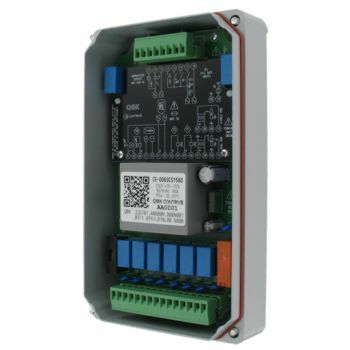 • Flame detection by means of UV sensor, dual or single electrode. 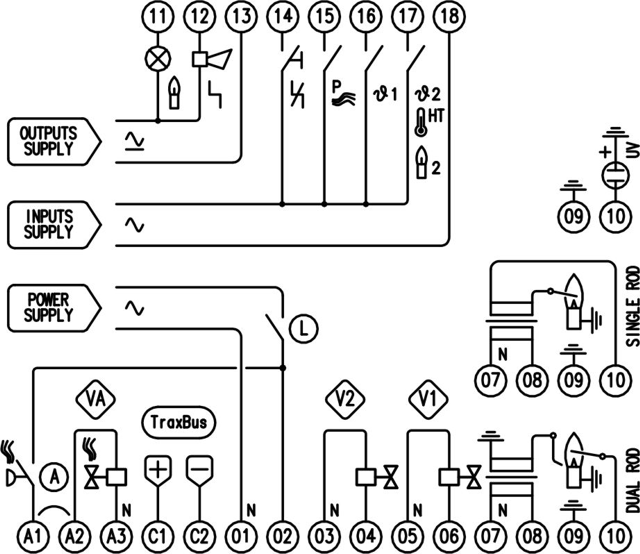 • Air valve or fan output, following cycle or independently controllable. • Low air pressure switch. 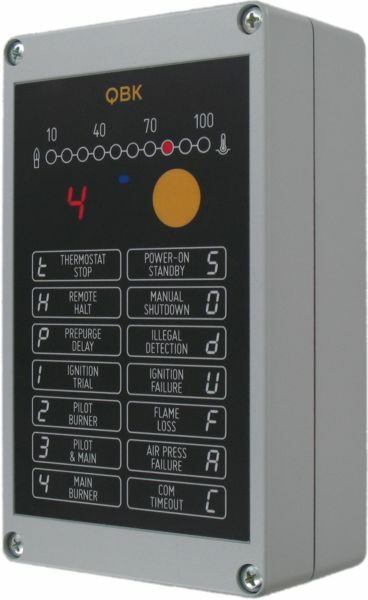 • THERMOSTAT 1 input for remote burner control. 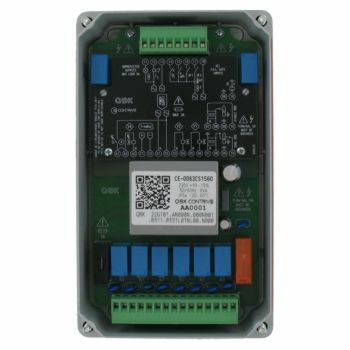 • THERMOSTAT 2 input for independent main burner control. 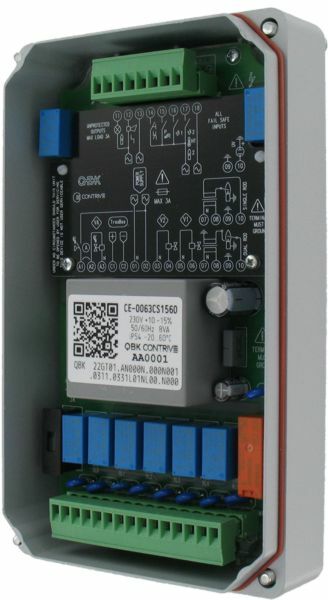 • High-temperature option for flame surveillance bypass. • Optional independent main flame supervision. 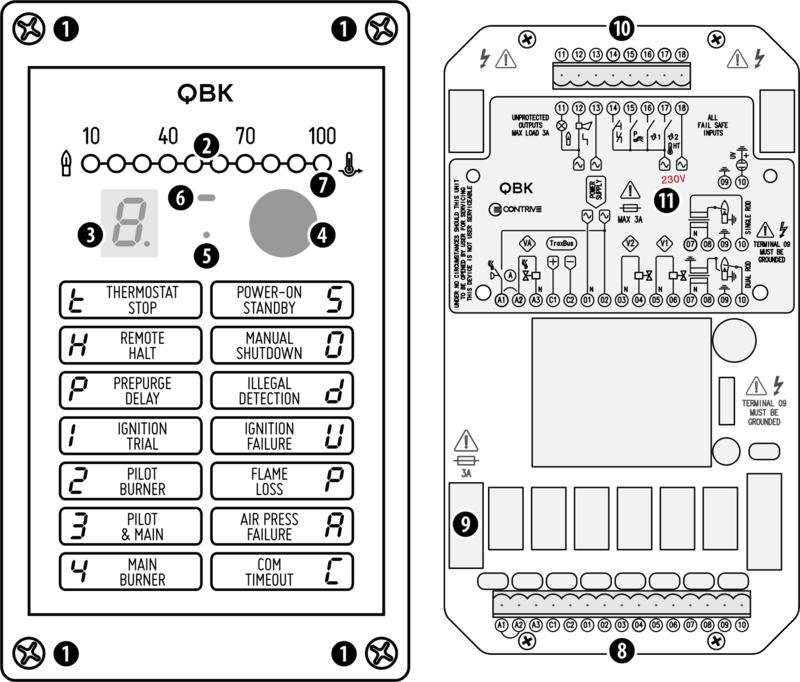 • Infrared commissioning interface (smartphone app). 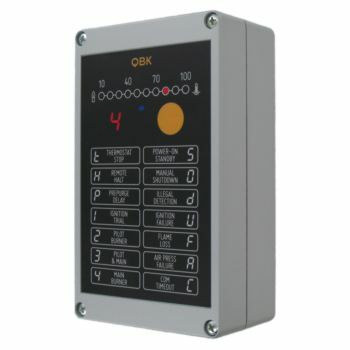 • Led-bar flame signal indicator. • Independent and configurable flame sensitivity for pilot and main burners. • Advanced self-diagnostic report of cycle status, lockouts and failures. • Log memory for lockouts and faults. 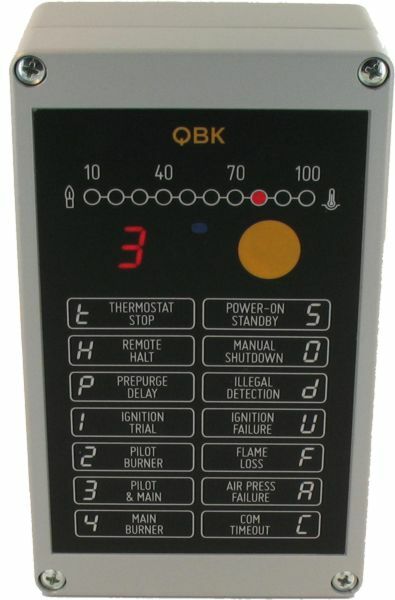 QBK is fully confgurable: the same device can be used to control different types of gas and oil burners. Password is required to modify all parameters except for Communication settings. 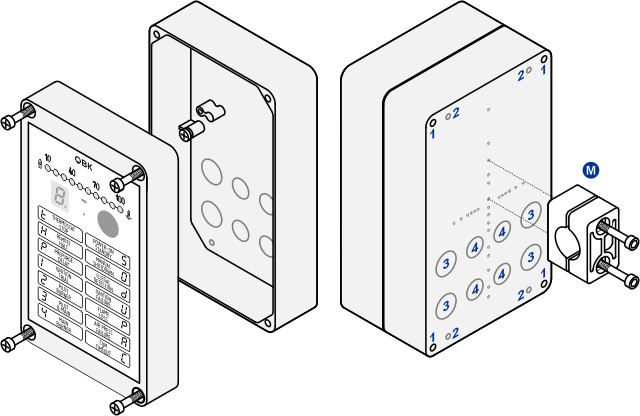 Customers that want to modify the configuration can apply for specific agreement here. Once approved, all purchased units will have unique password assigned. 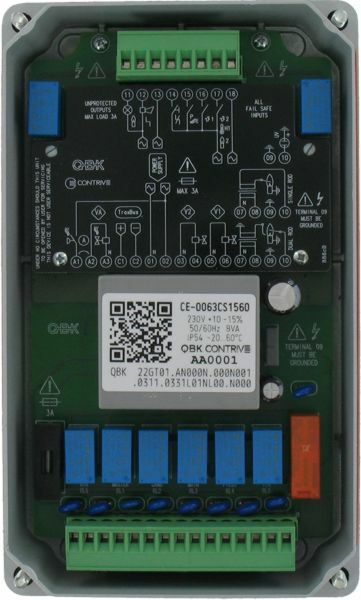 Since a new label or remark must be placed on the unit when the original configuration is modified, this procedure is not recommended for occasional users. 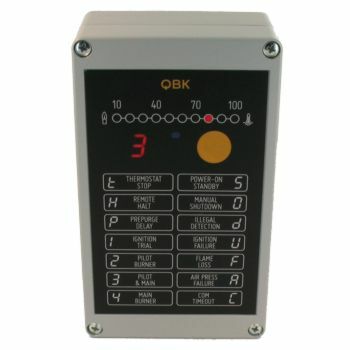 Since EN 298 does not describe all functions of the QBK – implemented to manage all possible industrial scenarios – the operator is responsible for ensuring that parameters and functions are appropriate for the application. Certification applies only for options and values allowed by EN-298.